Our aim is to make the planning of your wedding day as pleasurable and stress free as possible. We can manage all the elements involved, from the legal or religious aspect, to photography, flowers, transport, venue hire, music, wedding favours, stationary, etc. Algarve Events has a great selection of associates, partners and venues, all of whom are known to us and have been sourced due to their proven trustworthy and high quality of work , so that nothing is left to chance. Complete organisation: From start to finish; from paperwork to creative styling. including cake, flowers, hairdressers, photographers, bands etc. Our suppliers are continuously improving for quality, reliability, standards and value. 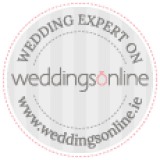 Finishing Service:If you have planned your day but require support in Portugal we wil help you to find an meet different suppliers for the different services required ensuring you have the best possible services to enhance your wedding. Wedding Planner for the Day: One of our professional team will ensure everything goes according to schedule. We will make sure everything happens when and where it should, so that your day is perfect. Full range and choice of professional wedding & events services. In addition to the wedding day we can organize pre and post wedding activities and parties, be that dinners, BBQ’s, cookery lessons, wine tastings, cruises, cultural tours, ensuring that you and your guests make the most of your time in the Algarve.